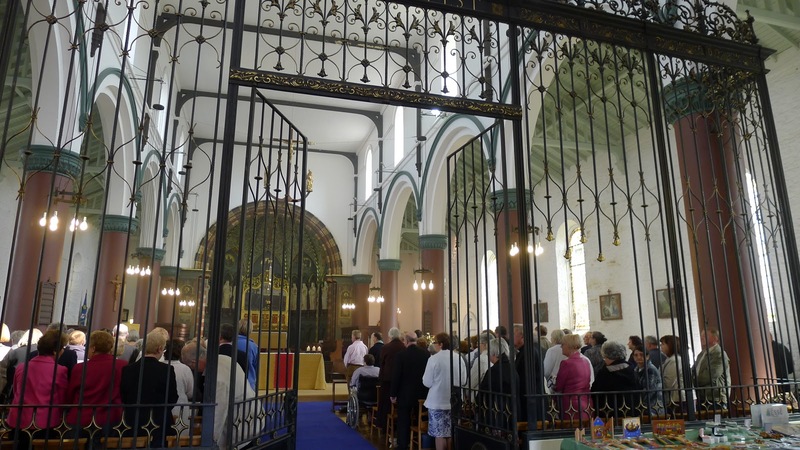 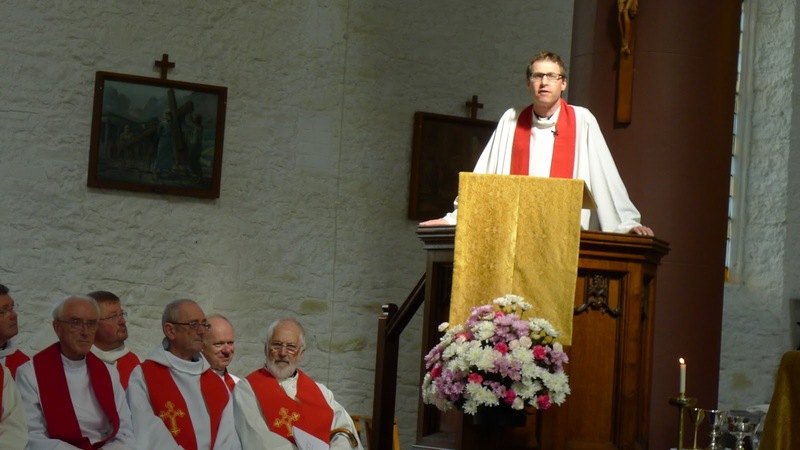 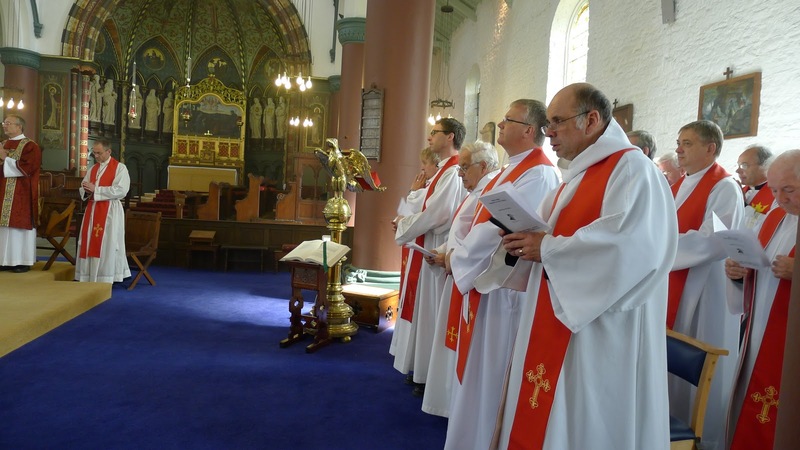 At Credo Cymru ( Forward in Faith Wales) we used to have our annual festival of faith for the feast of the Exaltation of the Holy Cross at Brecon Cathedral. However, since the Provincial Assistant Bishop (equivalent of suffragan PEV) has been refused replacement after retirement 2 years ago by the bench of Welsh Bishops, we now gather at a more independent venue from the cathedra from where we were blessed by the one with the big Mitre or was it a turban, surely not(see http://llandaffchesterchronicles.blogspot.com/2010/06/your-wish-is-my-command.html ) one of the one's who deny us! 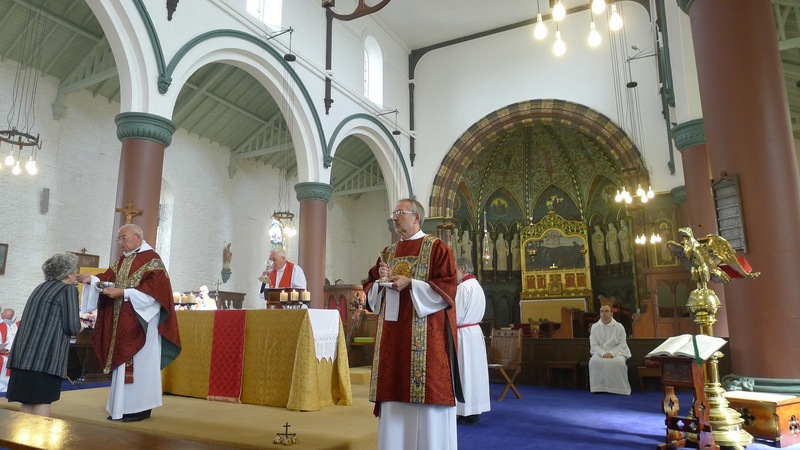 Therefore it is a great pleasure to report the successful event this year was moved to St. Mary's Bute St. Cardiff where the marvellous and faithful Fr.Graham Francis SSC and his Assistant priest Fr. 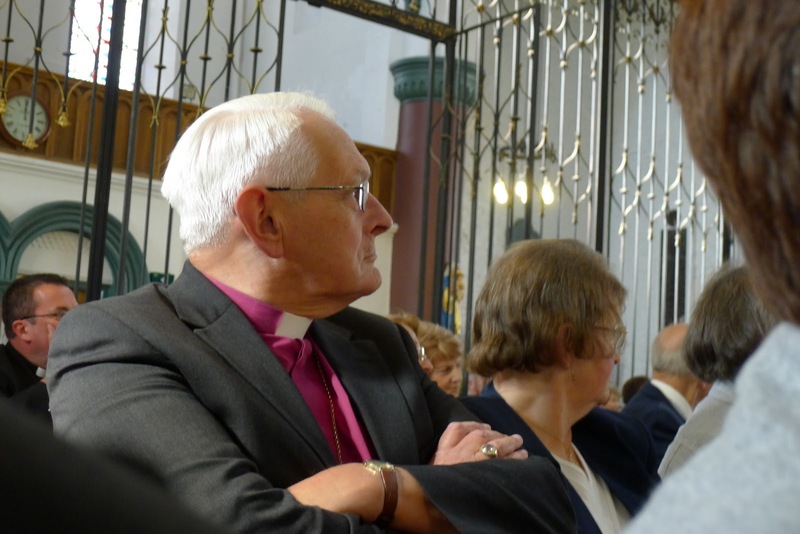 Ben Andrews SSC minister so well and who are such an important traditional parish in the anglican Church in Wales here. We had the benefit of Fr. Philip North as preacher and Fr. 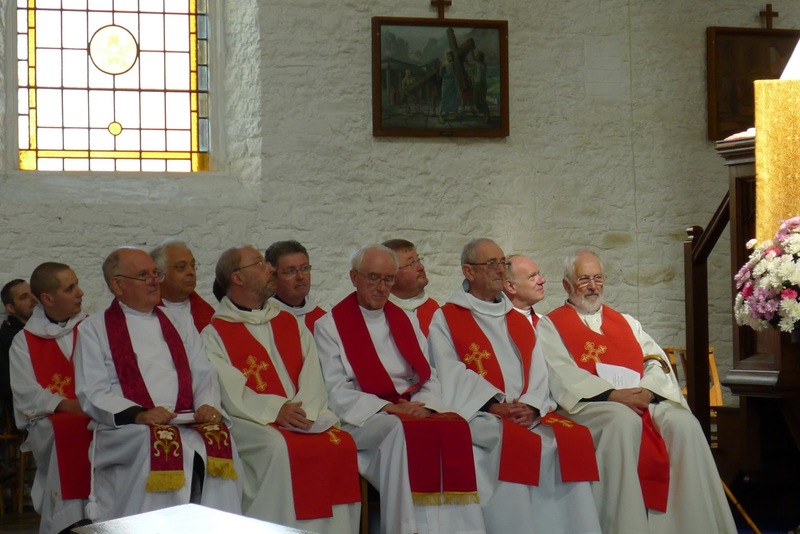 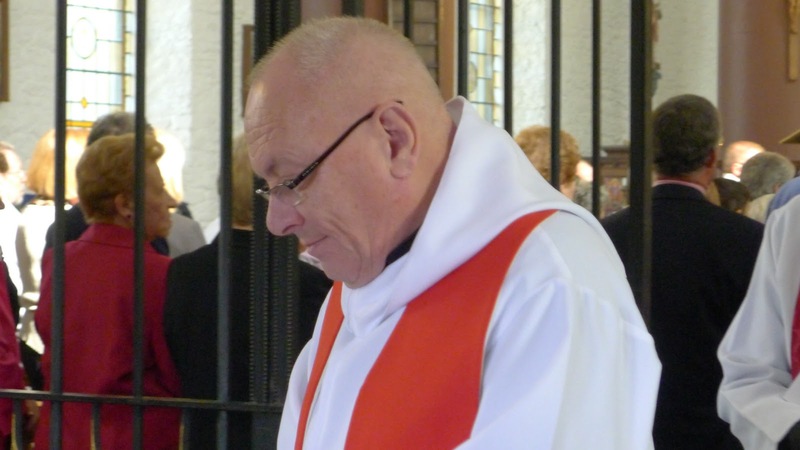 Alan Rabjohns chairman of FiF Wales was the chief celebrant with thirty or so concelebrants and other priests and deacons and our retired Bishop David supporting in the large congregation. Here are some rather belated souvenir photos(click to enlarge).